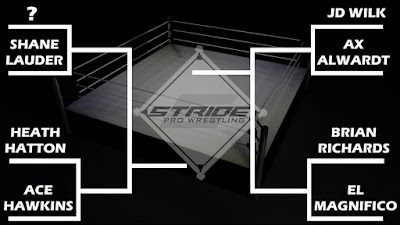 Stride Pro Wrestling's talent pool is deep. 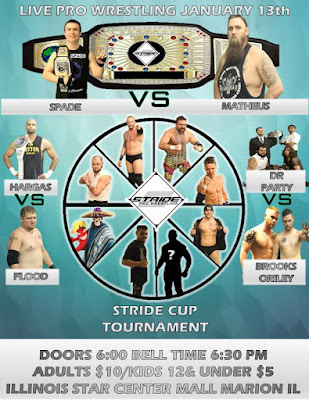 From established veterans (and by no mean do I mean old guys) like Heath Hatton, Ax Allwardt, Ace Hawkins and El Magnifico to upcoming talent like JD Wilk, Brian Richards and Shane Lauder the roster is stacked. All seven of these men have a common goal in 2018. 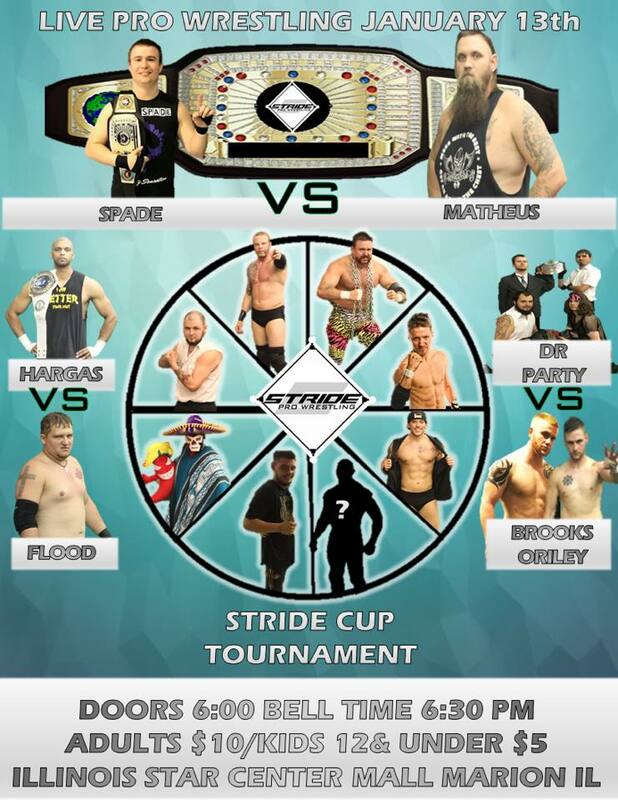 They're competing to be the first ever Stride Cup tournament winner. General manager Sam Hunter announced this concept a few months ago. This single elimination eight-man tournament kicks off this Saturday night at the Illinois Star Centre Mall. Notice I said eight men are involved but only listed seven competitors. That's because the remaining contestant has not been revealed yet. 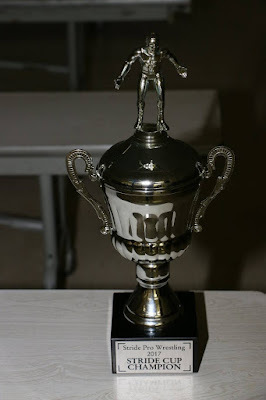 But we do know the opening round will be exciting and the honor of winning the cup could go to anyone involved. The scheduled matches include Allwardt facing off against Wilk. It's a classic old school vs. new school matchup. WWE pay per view alumni Hatton and Hawkins square off. El Magnifico goes at it again against Richards. And Lauder drew the short straw facing an opponent no one is certain of. I know it hasn't even been a month yet and we had two shows in December, but I've missed my friends in Stride. 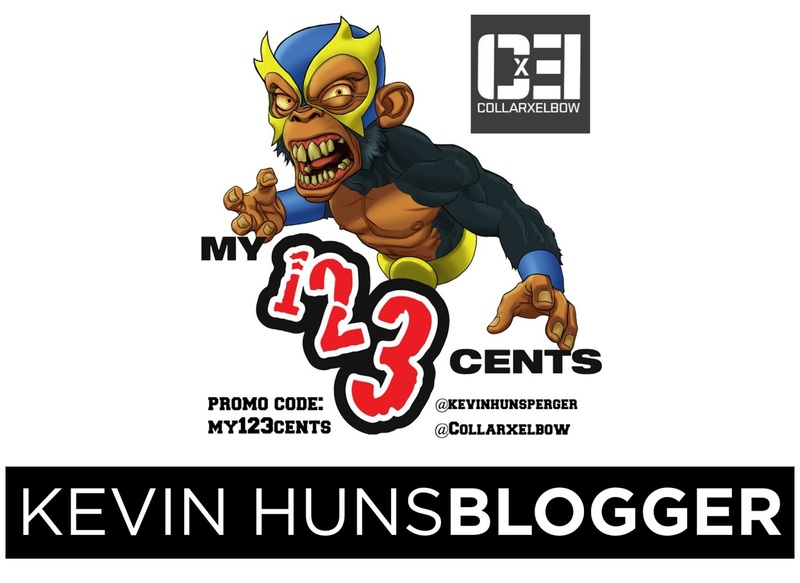 I can't wait to be a part of the show and all the upcoming events planned in 2018. 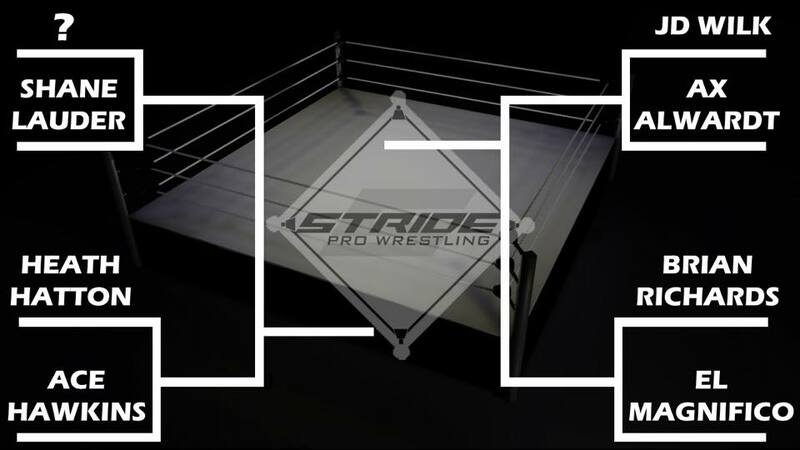 It's going to be an exciting year for Stride Pro Wrestling. Thanks for being a part and if you haven't checked it out yet, what are you waiting for?